New sacrificial anode fitted 2018. New stern gland and stuffing box newly packed. Barbarossa Backstay tensioner with folding handles. Cruising Chute with snuffer, hardly used. New Jabsco toilet fitted 2014. Refrigeration consists of a 12 volt Coleman cold/warm box, in need of repair. No shower head is currently installed, but a shower grid and pump are fitted. Kedge anchor includes 10m of chain plus 15m of warp. Hand held Garmin V hand held GPS. ICOM M23 hand held VHF, new 2015. Liferaft-Seago GX 4 man Valise, new 2015. Fire extinguishers and fire blankets fitted. From Trident Marine, the Voyager is a classic long-keel deck-saloon cruising yacht that is much loved by blue-water sailing enthusiasts. These are well-made tough boats, capable of long distances, while her deck saloon gives great visibility whilst down below, and would work well as a liveaboard boat. Her saloon and inside helm position are bright and with excellent visibility, due to the large windows. Her accommodation offers a real “home from home” feel, and she manages to feel snug and warm with her traditional woodwork and secure berths and galley. This example has undergone extensive refurbishment in recent years, is well equipped and in very good condition throughout. She has also been antifouled recently. This Trident Voyager 35 has been personally photographed and viewed by Adam Loftus of Boatshed Cumbria. Click here for contact details. Please note this comments section is public. Please do not post your personal details here. 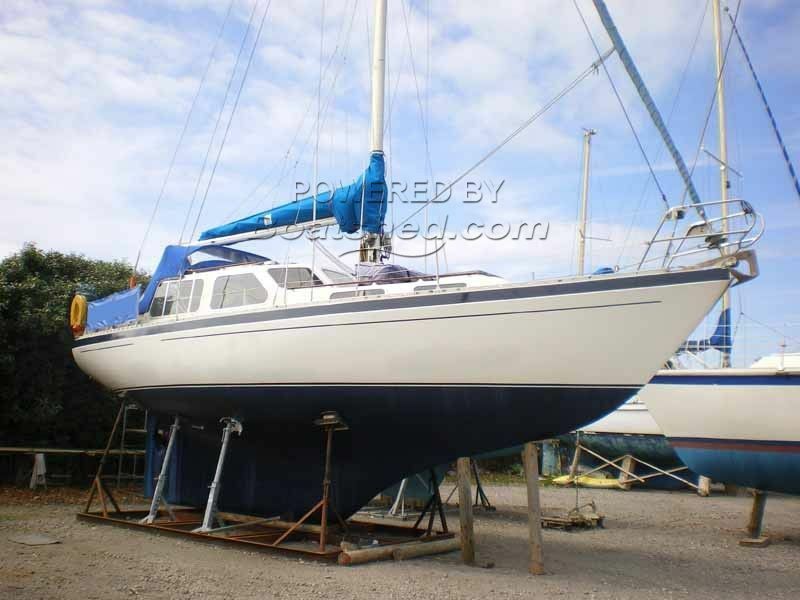 To enquire about purchasing this boat, please contact the broker directly at adamloftus@boatshedcumbria.com. Please read our commenting guidelines before posting.